Was it ever your dream to ride above the rest, be able to get a little dirty off-roading, or even feel more than prepared for whatever the weather may bring?Well, it’s time. Get your truck lifted through Germain Toyota of Columbus! The moment you reach up and take a seat in the lifted Toyota Tacoma or Tundra, you’ll see why there’s no turning back. Each lift is customized just for you, and that’s why we’re here to help you determine how big of a truck suits you. We will make sure you get the off-road advantage and monster truck look you’ve been waiting for. Lifted trucks aren’t just about the looks – it’s the power, dominance and durability that make these trucks so desirable. 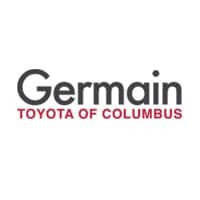 Germain Toyota of Columbus is the place to shop if you’re looking for a 4WD or an all-wheel drive truck! You can count on us to be here for you and all of your big truck needs along the way. Contact us today to get started on your custom truck lift, or if you have any questions please give us a call, “”.